The Gen Next has been trying to break the mould and push the envelope in terms of acting. They all have tried their hand by getting into the grungy avatar. While Sidharth Malhotra went grungy with Ek Villian, Ranveer Singh was seen in this avatar in h Gunday and more recently Varun Dhawan stepped into this with Balapur recently. These films were all highly awaited by the audiences. The looks of all of them is a drastic shift and audiences have gladly accepted it. While all these films have done well at the box office, Sidharth Malhotra seems to be racing ahead in the pack. 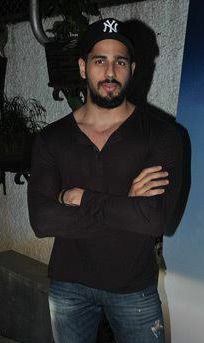 Infact Sidharth will be seen in this grungy avtaar yet again, in his upcoming release Brothers.